This week Ryan Royster decided to mix it up with his Spring Training blog and interviewed former AquaSox James Jones and Brandon Bantz about their experiences at their first spring training. It seems like Spring Training came and went as there is less than a week left until teams break camp. Rosters are slowly but surely starting to take shape and all of the rust has been shaken off. There has been some good baseball to watch and the Mariners are showing promise up and down the system. This season should be fun and exciting at all levels! A quick update on my company: Pro Player Baseball (PPB) will be hosting a tournament at Everett Memorial Stadium August 16-18. Proceeds from the event will benefit the Susan G. Komen Foundation. More information and details will be available soon. We are looking for members of the community to get involved to support this great cause. As promised we have some exclusive footage of former Aquasox players, James Jones and Brandon Bantz…Enjoy! 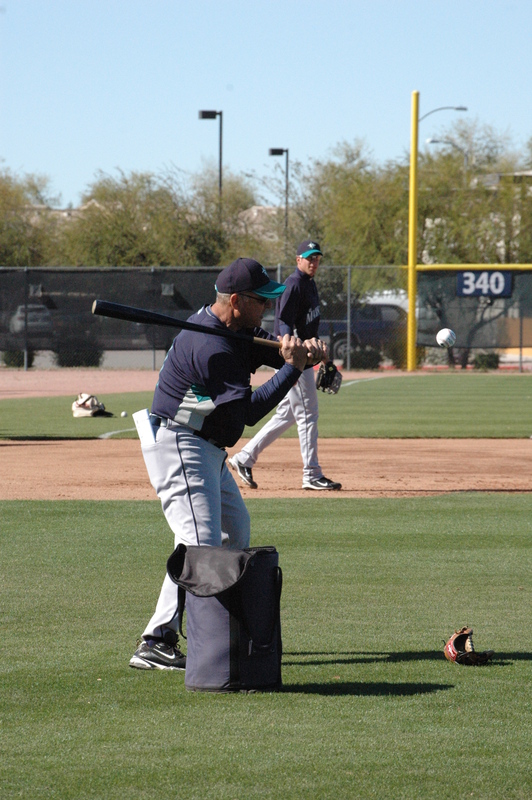 Throughout March, former AquaSox OF Ryan Royster will be our Spring Training blogger, keeping us updated with what’s happening at the Sports Complex in Peoria, and how former AquaSox are doing. Check back weekly for his updates. 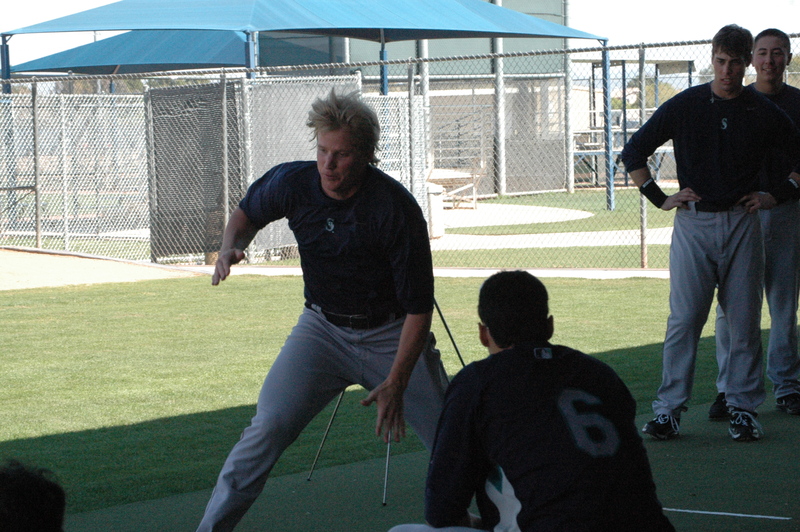 It has been a busy week in M’s camp as Minor League Games began. Everyone is excited to be on the field competing against other organizations, and showing off all of the hard work put in this offseason. It has been a good day for former Frogs Yesterday (Thursday) as James Jones had a pretty bunt single, Joe Dunnigan homered to left, Anthony Phillips had a lead-off double, and Dennis Raben had an RBI triple! I also would like to announce that my company (Pro Player Baseball) will be hosting a tournament at Everret Memorial Stadium this August, with the proceeds benefitting the Susan G. Komen Foundation and breast cancer research. There will be more on that soon, but it will be a great event for a great cause. The temperature is rising and it finally feels like Spring Training in Arizona. The 12 hour days only leave room for naps and eating but there’s still nothing like it. My host family from Everret made the trip this week and its been great to see Kristi and Chad. Its always nice to see familiar faces and have the support of loved ones. We have become really close and are just like family now. Catch you all next week…I’m hoping to have some exclusive behind the scenes video! Tamargo will manage for the Clinton Lumberkings in 2010.
including pinch-running for Ken Griffey Jr. While Mariners Spring Training has been going for a few weeks now (more than that if you count pitchers & catchers, plus mini-camp), many minor league prospects did not report until last week. All minor leaguers were required to report by Friday for physicals, and Saturday morning saw most of them at the complex in Peoria by 7:00am, ready to get started. First thing was the minor league meeting. All of the players met on the practice field to go over the rules & regulations – welcomes came from all of the managers, who introduced their coaching staff, as well as the strength and training directors, members of the baseball operations staff and Mariners GM Jack Zduriencik. For some of these guys it was their first spring training, and you could tell they were a little overwhelmed with everything, but everyone seemed anxious to get out on the field. At the Peoria complex there are six practice fields – two for the major league squad and four for the different minor league teams. Whether they end up playing where they practice depends on the space, the position they play, how they do at spring training etc. 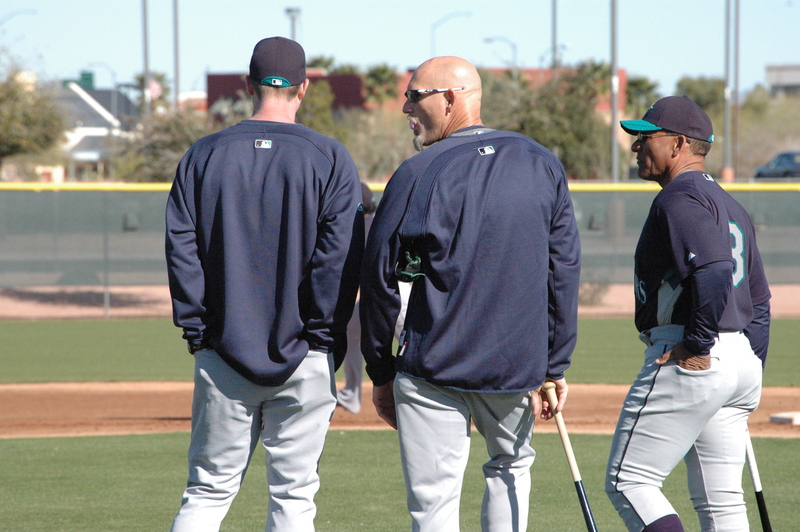 They also split up by position for certain sessions – former Mariner Jay Buhner was at the complex working with the outfielders, and former Mariner Dan Wilson was also around. Most of the players don’t have cars in Peoria, so they spend their off time within walking distance of the complex. They stay at a nearby hotel, and there are tons of restaurants & shops surrounding the complex. One of our main focuses in Peoria was catching up with guys who played for Everett last year, or even before that, and get footage to use for AquaVision next season. All of the guys were great, even those who had only spent a few games in Everett like Nick Franklin. James Jones, Brandon Bantz, Chris Kirkland and more all came by to help out. Some major leaguers like Ryan Rowland-Smith and Mariners Manager Don Wakamatsu also came by to say Hi to all the Everett fans. Look for photos in the next few days of minor league spring training, and look for special guests on the video board all season long! The locker room is filling up fast as the minor league pitchers and catchers reported and began their spring on Monday. The minor league position players arrive today and camp gets fully underway on Saturday. Everyone is excited to be back on the field and that sense of competition is in the air again. You can tell the new players right off the bat, as they wander around to find their lockers and figure out the routine. You feel bad for them at first but we were all there once and we all have to find our way. All of us that arrived early already have our weekly routines and are settled in. Our weeks are usually planned around food specials at nearby restaurants. For example, Monday is usually Chipotle or $5 footlongs, Tuesday is 2 pieces for 99 cents at Popeye’s, Wednesday is all you can eat wings… you get the idea. An update on some former frogs: Tyson Gillies hit his first homerun as a Phillie, Dennis Raben is back on the field, James Jones made a pinch run appearance in the Major League club, Nick Franklin has made several big league appearances, and everyone seems to be ready to do big things in 2010. Cliff Lee and Felix Hernandez pitched against our minor league players in a simulated game and it was exciting to get a chance to face off against two of the game’s best. Some players held their own, but they were pretty tough to hit all day. The M’s are 4-4 so far this spring and it has been fun to watch. The weather has been strange and we even had thunder and lightning a couple times, but the sun is back out and spring is in full swing. Catch you all next week! 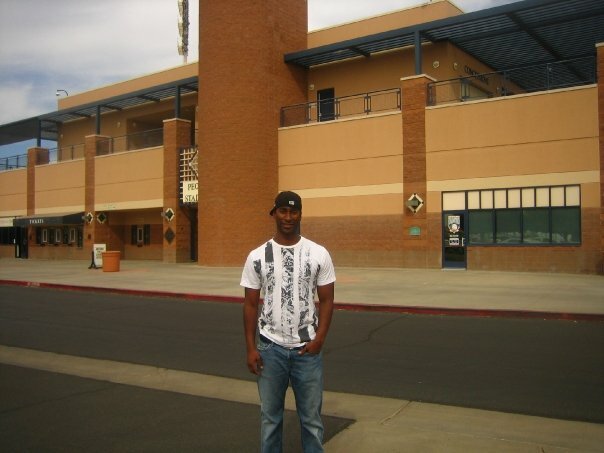 This is Ryan Royster live from Mariners Camp, Spring Training 2010. It was a long offseason but it’s time to get back to work. There is a lot of excitement this year both within camp and by the media surrounding the big time deals we made this winter. Bringing in Cliff Lee, Milton Bradley, and Chone Figgins, among others, has put Seattle in the mix of preseason playoff predictions. We also had some departures such as former Frog all-star, and my good friend, Tyson Gillies, who is now with the Philadelphia Phillies. Today is the M’s opening game vs. the Giants and fans will be introduced to some new faces, as well as cheer on the fan favorites. On the minor league side, minicamp is winding down and the entire farm system is starting to trickle in. Former Aquasox Minicamp invitees include yours truly, Kalian Sams, Joe Dunnigan, James Jones, Brandon Bantz and many more. We experienced the new workout program implemented by Dr. Marcus Elliot and the Peak Performance Project. Our weight room looks like a huge empty space now with very few weights in it, but don’t be fooled, the workouts are absolutely insane! If you have behind the scenes access you might find us working on our yoga poses too, but keep that between us. I’m glad to see Griffey back this year. I got a chance to meet him and spend some time with him last year and it’s amazing to be on the same field as my all-time favorite player. I wasn’t sure what to call him the first time I talked to him (Ken, Mr. Griffey, Jr.?) but I realized quick that he’s just a regular guy…( I went with “Griff” by the way). I’m sure you would like to know how I spent my offseason… Let’s see, I started a youth baseball academy called Pro Player Baseball (check us out at www.ppbinstruction.com ), spent the majority of my time rehabbing in Arizona to get ready for 2010, and also was able to spend some time with my family and friends which is always a good thing. You can catch me on Twitter occasionally if you’re lucky (@YoungRoyce) but I try to stay out of trouble so I keep the tweets to a minimum these days. Well I hope to see all you M’s fans down here this spring and if you see me around be sure to say hi. And if you have a nickname for me I would love to hear it. I got some good ones from fans so far like “Axel Royce from Guns N Royces”, LeBroyce James, and President Baroyce Obama, so keep ’em comin. 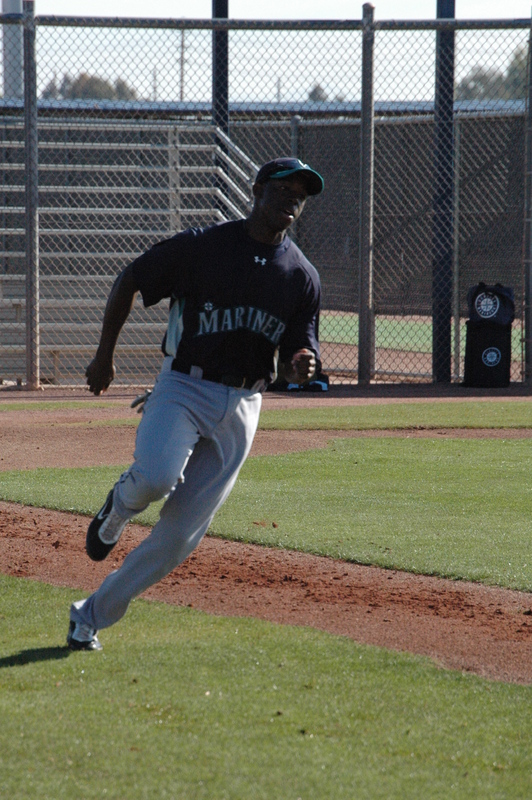 I’ll be back next week with anther inside look at Mariner’s camp 2010!